The Rhonda Allison Men’s Skincare Products is meant to cater to the men of the modern day who understand the importance of keeping up on their skin health. The collection of Rhonda Allison Men’s Skincare Products includes both individual items for fighting bacteria and keeping skin fresh and kits that include several Rhonda Allison products that create a bonded force against dirt and unwanted cells by covering all ends of the defense line. This includes cleansing, hydrating and exfoliating the skin to keep the bad things out and the good things in. The Rhonda Allison company has been collecting research, knowledge, and experience in the skincare world and market for over 30 years, guaranteeing that every product they produce will be developed and created with the best of the best ingredients and will deliver obvious, real results. That means for the men who want to get exactly what they asked for can fear not. All of the Rhonda Allison products live up to their word and their side of the bargain. 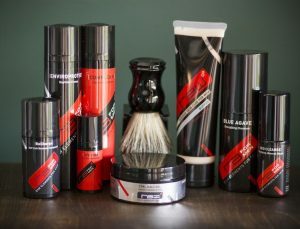 Some of the kits available in this line would make perfect gifts for the holidays for any of the hard working men in your life that might just need a little care and attention. Rhonda Allison knows what men’s skin needs. Which is why she created RA For Men: a scientifically formulated skin care regimen exclusively for men and their faces. Using the power of raw organic minerals, plants and cutting edge bio-tech ingredients, the RA for Men’s line offers the ultimate regimen to rejuvenate their faces. A promise that will immediately be evident to you in the form of younger healthier and more refined looking skin. A man’s skin is generally thicker, more sensitive and produces more sebum than a woman’s. His pH is also more acidic. This presents not only cosmetic issues but health ones as well. In addition, studies have shown that male skin cells carry fewer antioxidants and as a result, will form more deeper facial lines and hyper pigmentation (age spots). The solution is here.